The award-winning Grascals are well-known for their fun-loving approach to music-making as well as a tendency to record and perform out-of-the-box songs for their fans. To follow up the band’s highly successful Before Breakfast, they are releasing their new single, “Happy Together,” a classic song by The Turtles that’s so well-known as a happily-ever-after love anthem. Unison melodies played by the award-winning instrumentalists, Danny Roberts, Kristen Scott Benson and Adam Haynes bring a clever grassy new life to this rock track. Listen to “Happy Together” HERE. Mountain Home Music Company, a division of Crossroads Label Group is a premiere Bluegrass label with global distribution, representing such elite artists as Doyle Lawson & Quicksilver, Balsam Range, The Grascals, Lonesome River Band, Darin & Brooke Aldridge, Chris Jones & The Night Drivers,NewTown, Donna Ulisse, Gina Clowes, Kristin Scott Benson, The Cleverlys, Adam Steffey, Danny Roberts, Lawson and Williams, Sideline, The Snyder Family Band, John Bowman and Unspoken Tradition. Established in 1993, Crossroads is a market leader in the Bluegrass, Americana, and Christian Music fields. Country Music News Blog participates in advertising programs that help fund the operation of this site. For more information please visit our privacy statement. 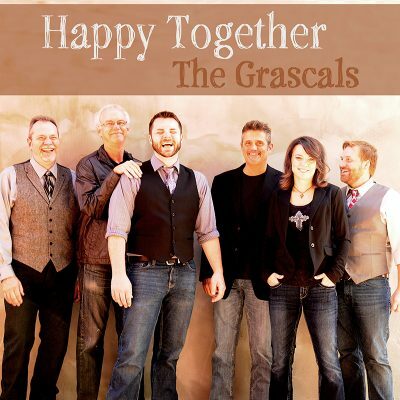 This entry was posted in New Music, Press Releases, The Grascals by Shauna "WhiskeyChick" Castorena. Bookmark the permalink.